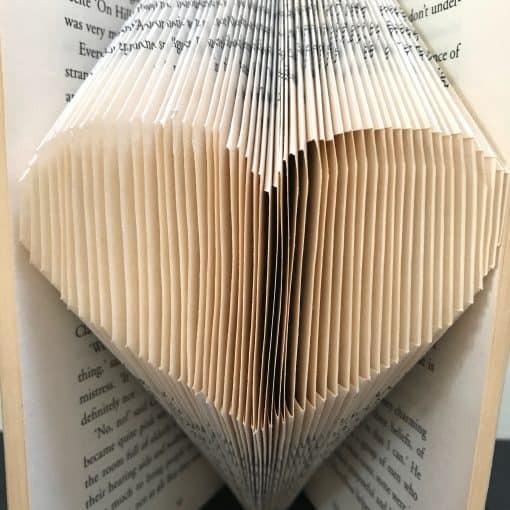 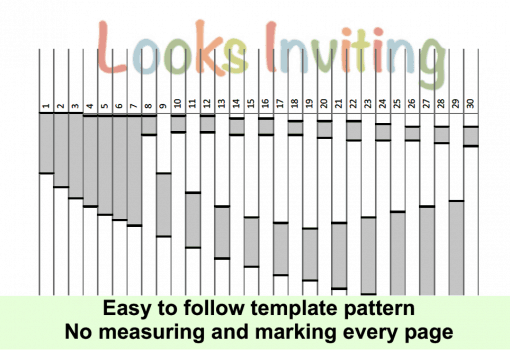 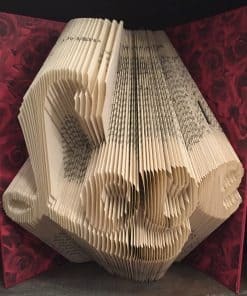 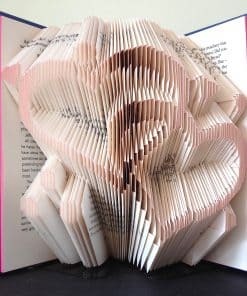 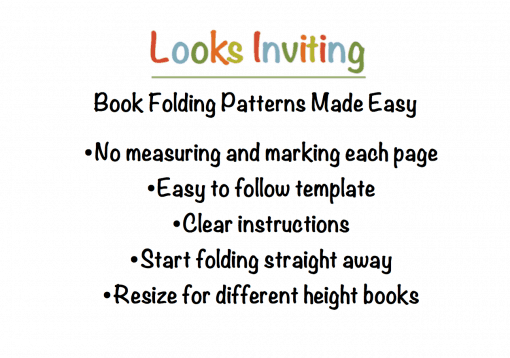 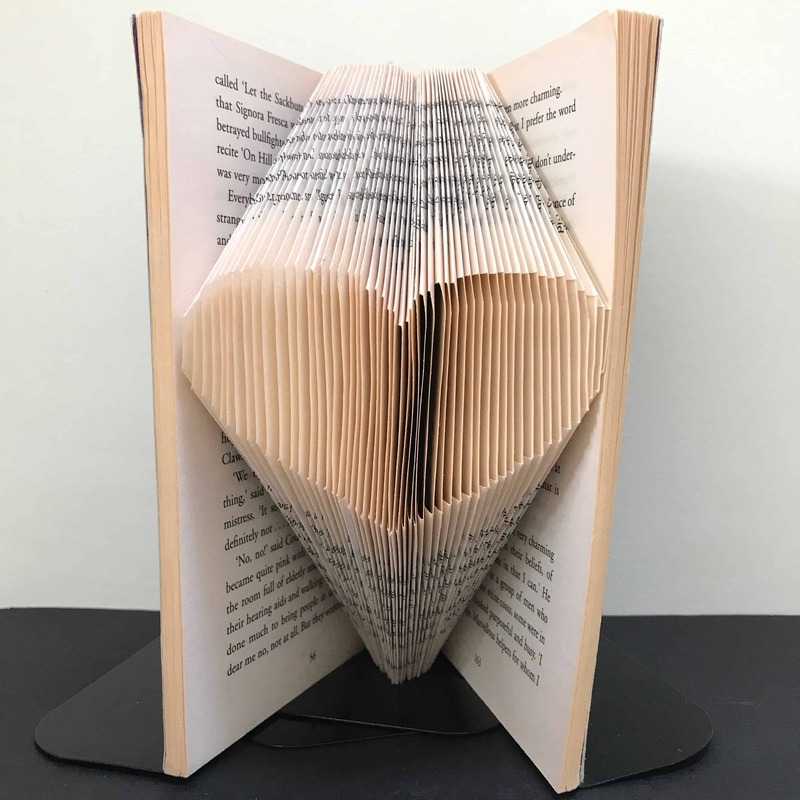 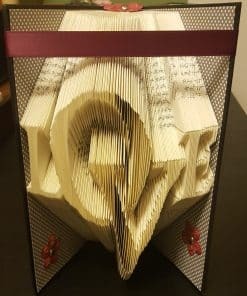 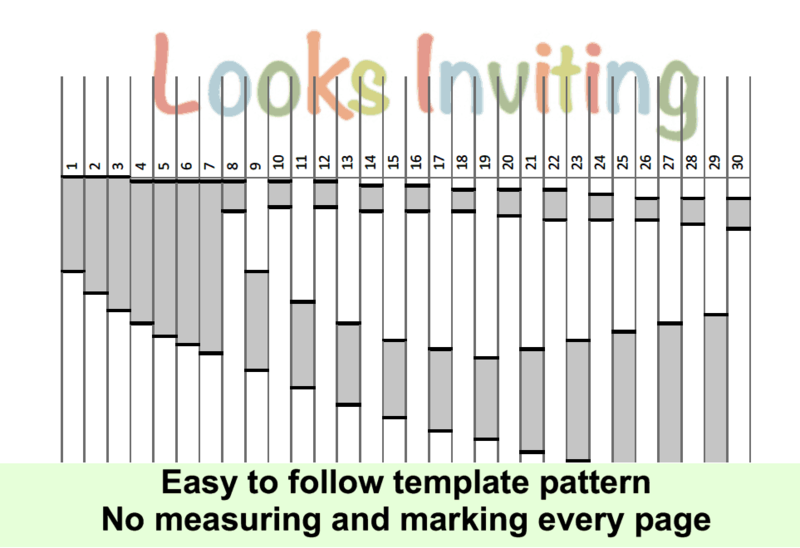 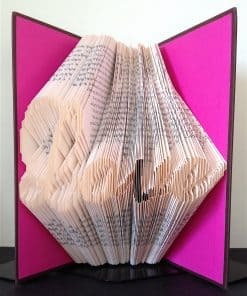 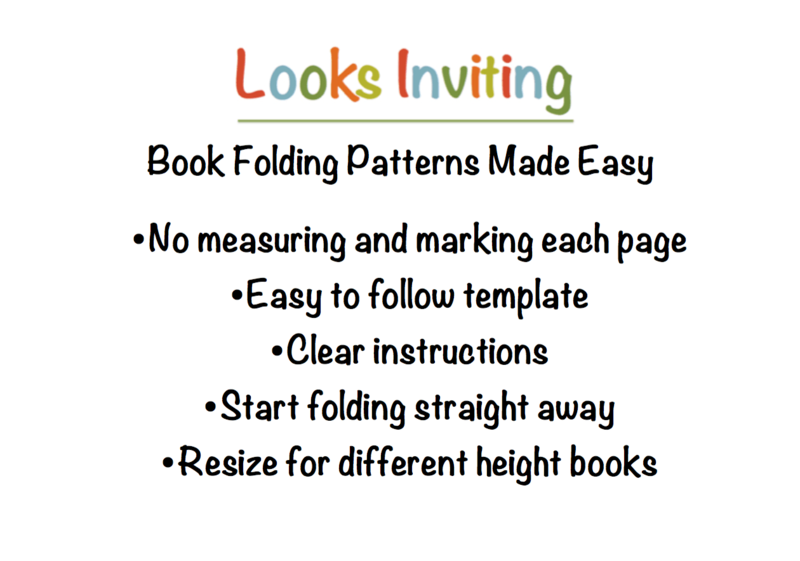 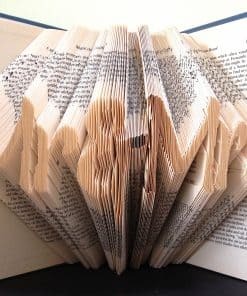 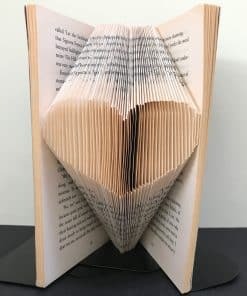 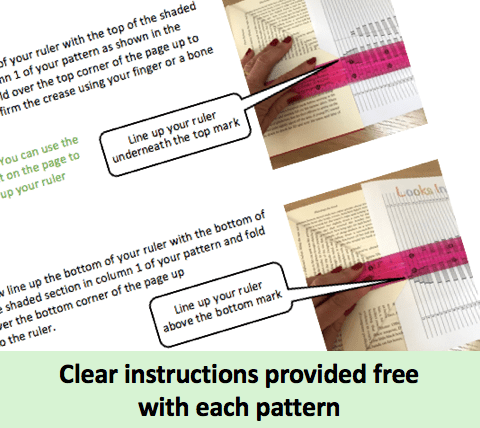 This “Hearts” pattern allows you to create your own folded book art. 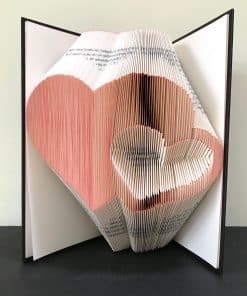 There are 2 sizes of heart which require 53 folds/106 pages and 21 folds/42 pages. 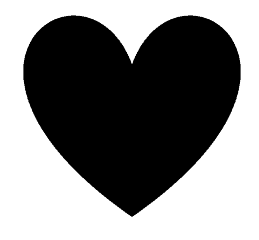 These are ideal for combining with the alphabet patterns to make words using a heart.